The tectra series of e-flux Evaporators is a family of evaporators for small and medium quantties of almost any material in the temperature range of 400 K to 3.100 K. Evaporation is possible either directly from evaporant in rod form or out of a crucible. 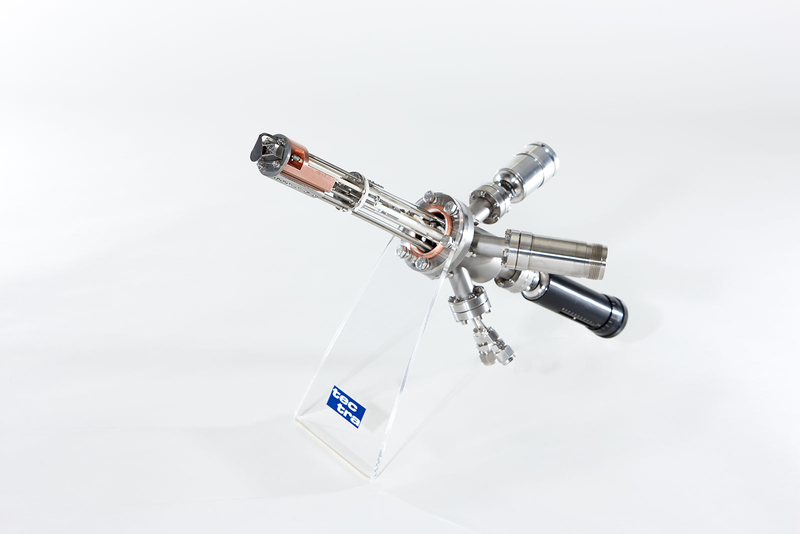 The e-flux Mini E-Beam Evaporator is a single evaporator. An integrated flux monitor allows maximum deposition control. Highly efficient watercooling ensures negligible outgassing during operation. 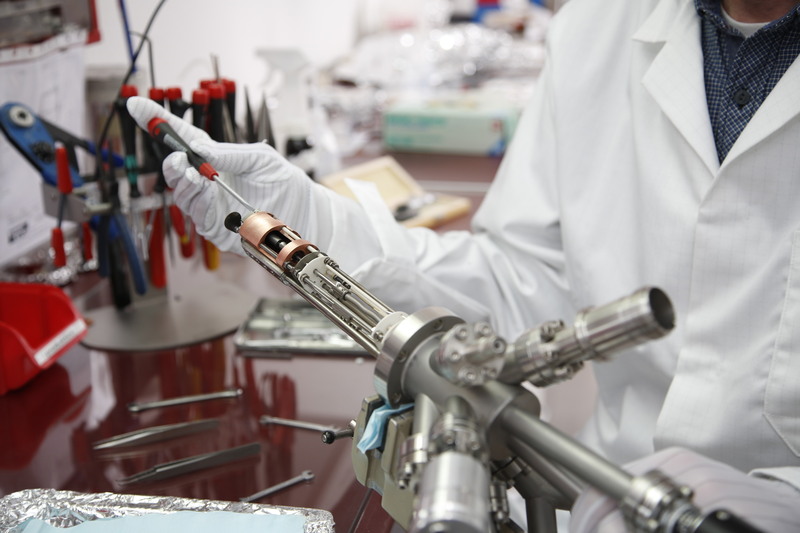 The e-flux is very compact and mounted on a CF-35 flange (2.75″OD). It can easily be retrofitted to existing UHV systems as the mounting orientation is virtually unlimited. The e-flux Mini E-Beam Evaporator is a single evaporator. An integrated flux monitor allows maximum deposition control. Highly efficient watercooling ensures negligible outgassing during operation. 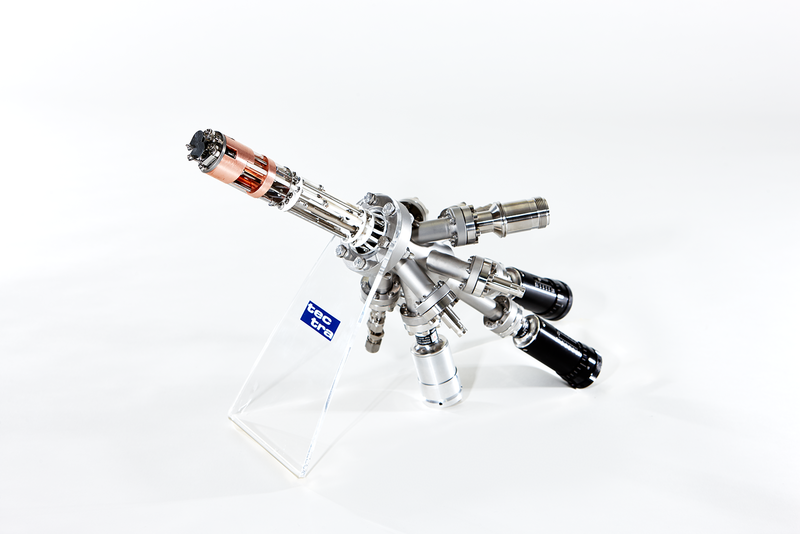 The e-flux is very compact and mounted on a CF-35 flange (2.75″OD). It can easily be retrofitted to existing UHV systems as the mounting orientation is virtually unlimited. The e-flux2 Evaporator is a two pocket version of the e-flux (introduced in 1997) offering you two positions for materials (rod or crucible) to be evaporated. The materials can be co-evaporated and seperately controlled.